Where did that week go? Blimey. 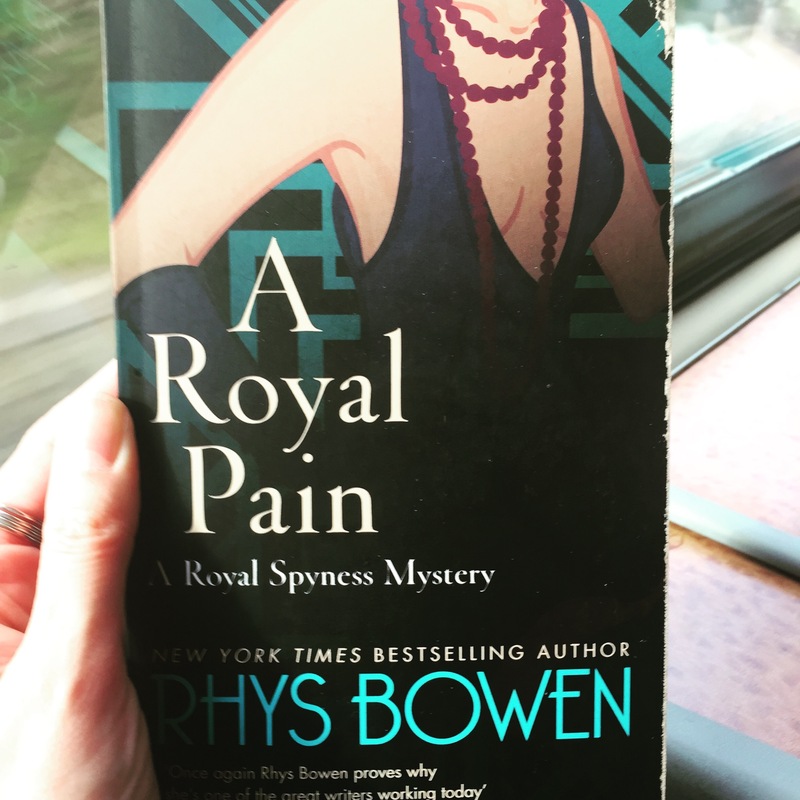 This week’s BotW is A Royal Pain by Rhys Bowen – slightly by default, as I’m working on a post about cosy crime series and don’t want to repeat, and can’t tell you about Corinna Chapman again (oh the perils of binge-reading series). Anyhow. A Royal Pain is book 2 in the Her Royal Spyness series. The series name makes me cringe, but I picked this (and another in the series) in The Works the other week in the hope that it would help scratch my Daisy Dalrymple/Phryne Fisher itch as I wait for new books in either of those series. And in the most part it did. This isn’t ground breaking or perfect, but it is good fun and rattles along at enough of a pace that you don’t notice its flaws too much. I had the culprit figured out fairly relatively early on, but that’s not too much of a problem for me as long as I’m enjoying the story (which I was). I did feel like I was missing a few bits of backstory coming into the series in book two – and i suspect they are bits of backstory that couldn’t be explained without giving away too much about the previous book. A Royal Pain never hits the heights that the best of the Phryne Fisher and Daisy Dalrymple books do, but it avoids most of the pitfalls that some other books in this sub-genre suffer from which can induce book-flinging levels of rage in me and put me straight into hate-reading mode.